Hi I have a Django Model as follows: class Address(models.Model): geoCoords = models.PointField(null=True, blank=True,) Now I create an instance of this model:... In a Django model, the Manager is the interface that interacts with the database. By default the manager is available through the Model.objects property. The default manager every Django model gets out of the box is the django.db.models.Manager . from django.db import models class Users(models.Model): pass class Sample(models.Model): users = models.ManyToManyField(Users) Now, in a shell or other code, create 2 users, create a sample object, and bulk add the users to that sample object.... Creating and handling forms can be a complicated process! 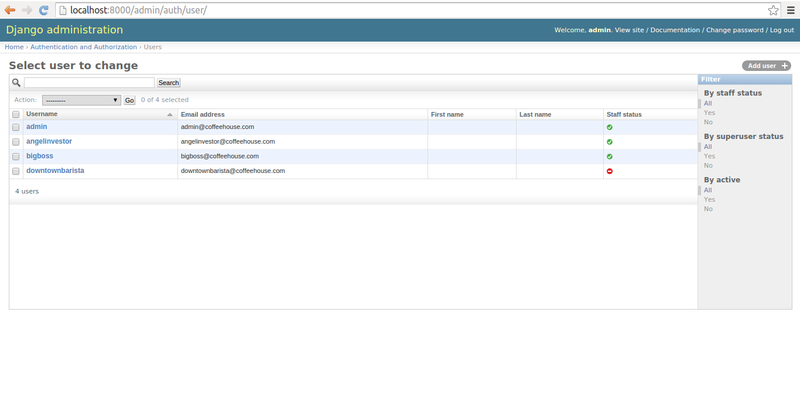 Django makes it much easier by providing programmatic mechanisms to declare, render, and validate forms. Furthermore, Django provides generic form editing views that can do almost all the work to define pages that can create, edit, and delete records associated with a single model instance. If you need to create a relationship on a model that has not yet been defined, you can use the name of the model, rather than the model object itself: from django.db import models class Car ( models .